Is Your Child Being Sent Home With Busy Work? Many parents think the quality of their child’s homework is not up to par. It’s not the children's efforts parents are complaining about—it’s the homework being assigned. Parents wonder whether it's just busy work rather than assignments that be of value to their child's education. If it's just busy work it might be taking up time better spent by your child in healthy physical activity and valuable free play, both of which are essential for physical and mental development. Families have only a limited time together in the afternoon and evening. If the child is doing busy work, she has less opportunity to participate in family life as is crucial for emotional and social development. Children and teens also require a good night's sleep, and busy work might mean delaying bedtime to ensure that it gets done. Busy work is an assignment that may take a lot of time but doesn’t impart anything of educational value to a student. In other words, your child may look as though he’s really busy, but is actually simply doing work to stay occupied and isn’t learning anything from it. In the classroom, busy work sometimes has its merits. Lesson plans for substitute teachers often contain busy work, especially when a teacher had planned on introducing new concepts to the class and would rather wait until she returns to do so. Busy work keeps the students occupied and often practices skills they’ve already learned, but doesn’t teach anything new. Homework, on the other hand, serves a different purpose than busy work. Effective homework assignments supplement learning and practice and integrate newly learned skills. 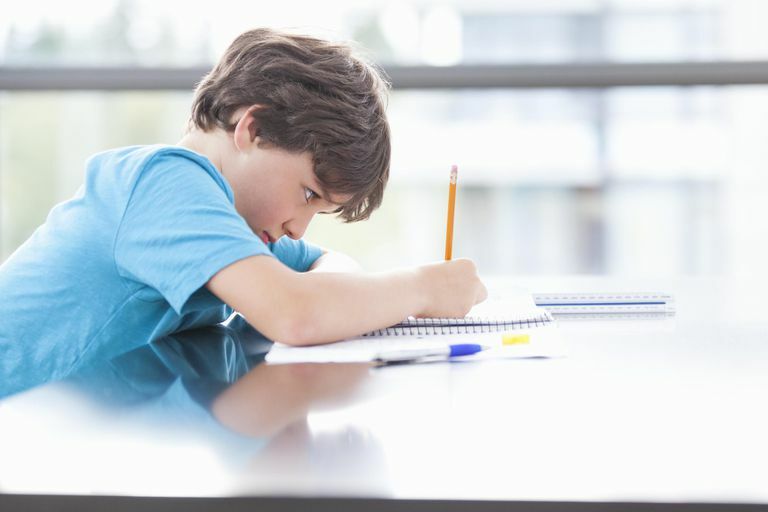 Homework gives students the chance to study at their own pace and discover for themselves which concepts they are having trouble with and those which they have mastered. Sometimes homework can look like busy work, particularly in vocabulary and math. That’s because there are some skills that are best learned by repetition. Twenty-five math problems using the same process can seem like busy work, but by the 20th problem, most students will find that knowing how to solve the problem has become automatic. Spelling homework can also be boring and repetitive, although there are some unique ways to practice spelling that can make it a little more exciting. Is It Busy Work or Homework? The question on many parents' minds is how to tell whether homework is really homework or whether it’s busy work. Sometimes the answer is obvious. Unless your child needs to improve her fine motor skills, homework asking her to cut, color, and glue doesn’t have a whole lot of educational value. An exception to this is when a project is assigned to be completed as a family. Family projects teach the value of teamwork and help kids understand that parents are an important part of their education. Sometimes the answer depends on your child. When it comes to skill practice, what holds educational value for one child may be busy work for another. Some children need repetition to help them learn, while others are able to “get it” and move on. If your child seems to be zipping through his homework without any challenges, it’s probably busy work for him. In that case, it’s a good time to talk to his teacher about how this can be handled. Some teachers hold fast to the idea that every student needs to complete the same homework, while others are more willing to provide individualized homework. Advocating for no homework may not be a good approach, but speaking with the teacher about the difference between being “fair” and providing “equal” learning experiences is a good tactic. Would Your Child Get a Better Education in an Alternative School? Is Your Child Gifted, Learning Disabled or Both?